The application of BBM (BlackBerry Messenger) is now available for iOS and Android. It strong start with 5 million downloads in 8 hours. Provision on Monday, October 21 on iOS and Android Store, the BBM application saves a great start with 5 million downloads in less than 8 hours. Personal data (broadcast personal messages, profile pictures, etc..). Here is finally a positive note for the Canadian manufacturer, stalled for months, and especially subject to possible redemption. 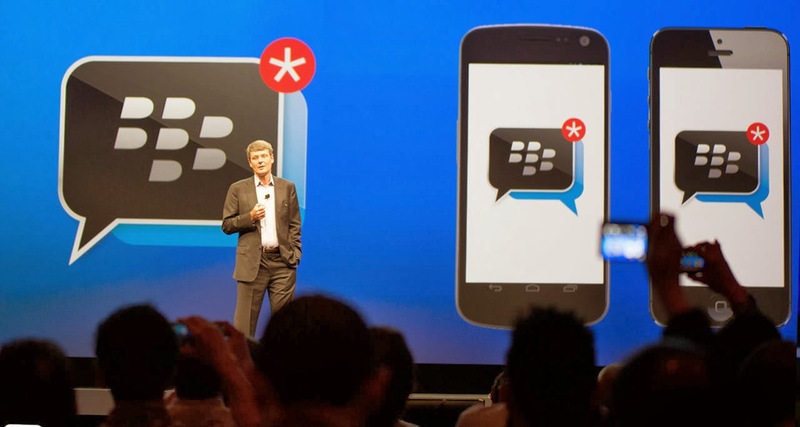 But so here also could precipitate BlackBerry plans, which recently relocated thought BBM in a dedicated subsidiary, with a view to dismantling into different entities.